[post_content] => Preliminary results of a trial testing the effectiveness of homeopathy for children with Attention Deficit Hyperactivity Disorder (ADHD) suggest that homeopathy may help with young patients’ emotional issues. The  trial - part of the STAR research project, led by homeopath Philippa Fibert RSHom as part of her PhD at the University of Sheffield – saw children with diagnoses of ADHD offered either homeopathy treatments or nutritional therapies as a complement to their usual care. After six months of treatment carers reported that both the homeopathy treatments and nutritional therapies were more effective compared than those who continued with their usual care. Carers of those children having homeopathic treatment reported that it particularly helped with children’s emotional issues, while nutritional therapy was found to help improve children’s restlessness and inattention in particular. 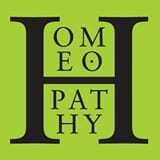 Although the results suggest that carers found both homeopathy and nutritional therapy helpful, the numbers are too low to be certain. The next stage of the project will include a larger trial. "We’re looking to recruit 400-500 more families to the cohort. Let us know if you can contribute or if you know anyone who might be able to help,” said Philippa, whose interest in the field was inspired by her previous work with children with special needs as a teacher and parent educator. Anyone interested in taking part can get in touch with the researchers via the project website. Preliminary results of a trial testing the effectiveness of homeopathy for children with Attention Deficit Hyperactivity Disorder (ADHD) suggest that homeopathy may help with young patients’ emotional issues. The trial – part of the STAR research project, led by homeopath Philippa Fibert RSHom as part of her PhD at the University of Sheffield – saw children with diagnoses of ADHD offered either homeopathy treatments or nutritional therapies as a complement to their usual care. “We’re looking to recruit 400-500 more families to the cohort. Let us know if you can contribute or if you know anyone who might be able to help,” said Philippa, whose interest in the field was inspired by her previous work with children with special needs as a teacher and parent educator.